Broccoli has long been one of the more reviled vegetables. When you were a kid, the broccoli on your plate probably went untouched until your mom said you couldn’t leave the table until you choked it down. To make the whole experience less awful (or was that just me? ), perhaps you had to imagine the pieces of broccoli as tiny trees and you were a hungry giant. But I’m here to tell you that you shouldn’t need any convincing to eat broccoli. Why? Because the health benefits it offers are borderline miraculous. Plus, the older you get, the more likely you are to enjoy the taste. Here are six benefits you can reap from eating broccoli on a regular basis. Broccoli is bursting with fiber. A single serving contains 3.8 grams (roughly 15 percent of the recommended daily value). Fiber is one of the most valuable and versatile nutrients around. According to the Mayo Clinic, it helps to normalize bowel movements, lower cholesterol levels, control blood sugar, maintain bowel health and aid in achieving a healthy weight. The Harvard School of Public Health states that fiber appears to reduce the risk of heart disease, diabetes and cardiovascular disease. One of the most interesting effects of fiber is that it slows down digestion, which helps you feel full long after you eat. This can be a great benefit for people who want to cut calories and lose weight—or for anyone looking for an afternoon snack to hold them over until dinner. When you think of foods high in vitamin C, you probably think of oranges and bananas. But though both are indeed high in vitamin C, they don’t hold a candle to the amount found in broccoli. A single serving of broccoli contains a remarkable 220 percent of the recommended daily value! Vitamin C is essential to maintaining healthy skin and eyes, but it’s also been found to have an impact on the vascular system. A new study conducted at the University of Colorado, Boulder discovered that taking a vitamin C supplement daily could have big benefits in preventing vascular disease. The researchers monitored the activity levels of ET-1 in obese participants. ET-1 is a vessel-constricting protein, and overweight and obese adults have elevated activity of ET-1, which makes their vessels more likely to constrict and increases their risk of vascular disease. Exercise has long been known as one way to reduce ET-1 activity. However, researchers found that participants who took a daily vitamin C supplement (500mg/day) reduced their vessel constriction as much as participants who began walking for exercise. Although the study was small, and exercise is certainly still the better overall option, the results bode well for vitamin C’s ability to promote optimal blood vessel health. Consuming vitamin C on a regular basis might have a beneficial effect on recovery from demanding exercise. A two-week study found that participants who consumed 400mg of vitamin C daily (a single serving of broccoli contains about 132mg) experienced improved muscle function and decreased muscle soreness following exercise. 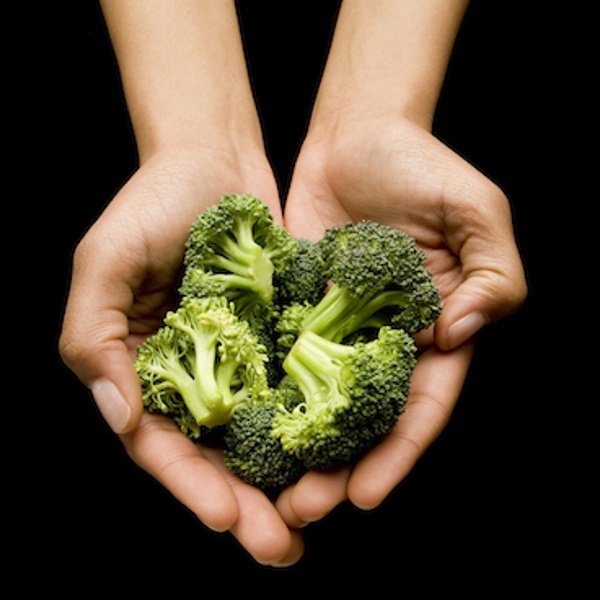 The vitamin C in broccoli is important for growing and repairing tissue all over the body. According to the University of Maryland Medical Center, vitamin C helps heal wounds and maintain healthy bones and teeth. Vitamin C also supports the production of collagen, which is needed to make cartilage, ligaments, tendons, blood vessels and skin. Broccoli is one of the most potent cancer-fighting foods you can find in a grocery store. In addition to being a brassica vegetable, broccoli’s high fiber and vitamin C content give it additional cancer-fighting capabilities. According to the American Institute for Cancer Research, dietary fiber “convincingly” lowers the risk of colorectal cancer, and vitamin C “probably” lowers the risk of esophageal cancer. Inflammation is the enemy of the human body. Inflammation occurs when blood and fluid pool in an area as a natural defense mechanism of the body. Left unchecked, inflammation can lengthen the recovery process. Chronic inflammation can sap your energy and lead to chronic diseases such as arthritis. Practically all vegetables help fight inflammation to some extent, but sulforaphane and kaempferol—a phytonutrient and a flavonoid found in broccoli—are especially potent.